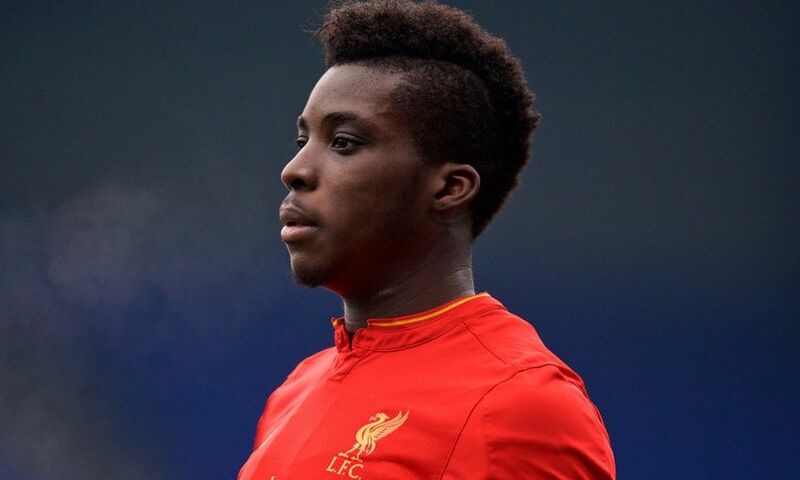 Sheyi Ojo has lifted the lid on why Jürgen Klopp hailed his reaction to constructive criticism after a promising cameo against Plymouth Argyle earlier this month. The young winger provided a bright spark on the left wing after emerging from the bench in the 76th minute of Liverpool's 1-0 win over the Pilgrims in an FA Cup third-round replay. He was subsequently singled out for praise in the manager's post-match press conference – but not just because of his encouraging performance. It was, in fact, that Ojo had clearly taken on the advice of the Reds' coaching staff prior to running out at Home Park that most pleased Klopp. When asked what his boss had requested of him, the 19-year-old told Liverpoolfc.com: "It was mainly just being sharp and direct whenever I get the ball, trying to use my qualities: my pace and my skills. "[I have to try] to go forward as much as possible because that's my job in the team – to go forward, create chances and score some goals. "That's been my main aim and if I get another opportunity, that's what I'll be looking to do." Reflecting on Klopp's comments specifically, he added: "It's always nice to get praise from the manager but I think I've got a lot to offer and one of the things that I need to really focus on is to keep working hard in training and listening to the staff. "Hopefully, if I get the opportunity I can take it." The former MK Dons wide-man is now determined to build on the recent acclaim of his manager by proving he deserves more first-team chances in training. "Every day in training you have to treat it like a match and my main focus is to train well, to work hard and to listen to what the manager's saying and be direct whenever I get the ball," he continued. "I'll keep looking to do that for the rest of the season." Ojo will hope to get such an opportunity on Saturday, when Liverpool host Wolverhampton Wanderers in the fourth round of the FA Cup. It is an opponent he knows well, having spent the first half of last season on loan with the Championship club before being recalled early by Klopp. And he remains grateful for a six-month stint at Molineux which he believes helped him make some big improvements. He explained: "[I learned] a lot of things, really. It was my first proper loan – I know I went on loan to Wigan the season before but I think there was more responsibility on me playing consistently in the Championship [at Wolves]. "I played just under 20 games and it was a great experience for me, I learned a lot of things, [like] different ways teams play and things I can add to my game. I think that's helped me for the future. "More so mentally, [learning] all the different things you have to understand as a young player coming through. "I think that has helped me since I've been back at Liverpool."